Educational Qualification : B.com with PG degree in Accountancy. How To Apply : Eligible applicants can appear for walk in written Test on 06-05-2019 at 10.00 A.M with all supporting documents & certificates. Educational Qualification : B.E/B.Tech in Chemical Engineering with first class. Selection Method : Merit Based. 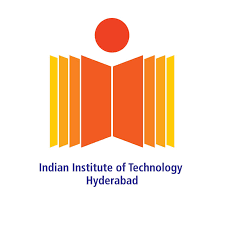 IIT Hyderabad Recruitment 2019 . Indian Institute of Technology (IIT), Hyderabad invites application for the recruitment of Project Assistant vacancies. The employment details about the posts, age limit, educational qualification, experience and other conditions are given below as link. The candidates are requested to go through the details and ensure that they fulfill the minimum prescribed criteria before applying. Apply on or before 28 December 2018. How To Apply : Eligible applicants should send the latest CV, and scanned copy of degree certificates and grade sheets/ mark lists via email to seetha@iith.ac.in with the subject of email as “Project Assistant DST” on or before 28th December 2018. Educational Qualification : M.Tech. (Master’s degree) in Chemical Engineering with computational fluid dynamics (CFD) or laser diagnostics techniques such as LDA/PIV. How To Apply : Eligible candidates should send their applications with all the electronic copies of relevant certificates by e-mail to narasimha@iith.ac.in on before 22nd November, 2018. Educational Qualification : Graduate ( B.A/B.SC/B.Com/B.Tech ). Educational Qualification : Graduate or Equivalent . Educational Qualification : B.E/B.Tech/M.Tech from Electrical Engineering or Computer Science Engineering with at least 60% marks in aggregate. How To Apply : Interested candidates can send your resumes to vijaya@iith.ac.in with subject “Application of Project Assistant/Associate – Application Development” or “Application of Project Assistant/Associate – Embedded Engineer” Last date for receiving applications: September 26, 2017. Last Date for Submission of Application : 26th September 2017. Educational Qualification : M. Sc. (Chemistry) with 60% marks with a valid GATE score or NET(LS). How To Apply : Eligible candidates may send their bio-data to Dr. M. Deepa, Department of Chemistry, IIT Hyderabad, by post or by e-mail (mdeepa@iith.ac.in) on or before 20th September 2017. Last Date for Submission of Application : 20th September 2017.